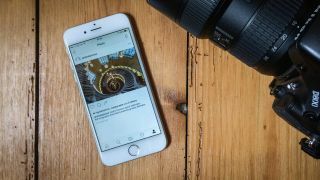 By now you're used to many social networks offering live video to go along with all the other posts, photos and GIFs, so it may come as no surprise to learn Instagram has confirmed it's working to add the very feature. CEO Kevin Systrom spilled the bean in an interview with the Financial Times, calling live video "really exciting." Systrom's confirmation follows an earlier report from T Journal that Instagram was testing live video streaming. Owned by Facebook, which has made Live a central feature of its platform, Instagram's decision to develop its own take on video streaming feels only natural. While we know it's being worked on, we still lack concrete details on how Instagram live video will work and when it might become available to users. In T Journal's report, live streaming looked to belong in the Stories section along the top of the app. Users who were broadcasting had a red circle and the word "Live" around their profile image. To go live, a big red button declaring "Go Insta!" need only be pushed. We asked Instagram for more details on live video, including a possible user rollout, but were told the company wouldn't be commenting on live video beyond Systrom's interview with the Financial Times. Stay tuned - and get ready to tune in - as Instagram will likely launch live video soon in the ever-heated race to be the top social media service around.